View More In Countertop Burners - Page 5. The Brentwood Electric 1,500-Watt Double Burner is an easy way to maximize your kitchen space and provide additional cooking areas. This burner has dual, independent adjustable temperature controls for all your cooking needs. The solid disc heating element provides easy cleanup. 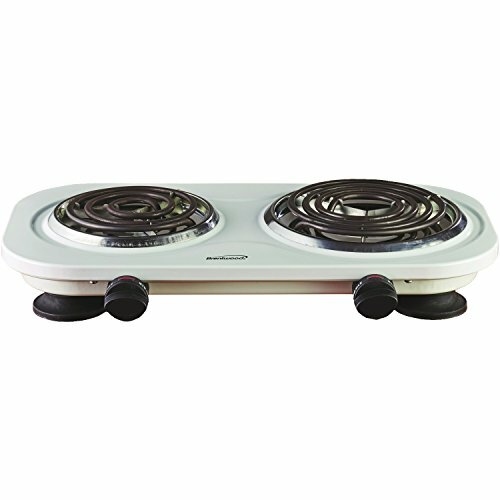 It's skid resistant with 1,500 watts of power and independent adjustable temperature controls for cooking and heating. If you have any questions about this product by Brentwood, contact us by completing and submitting the form below. If you are looking for a specif part number, please include it with your message.